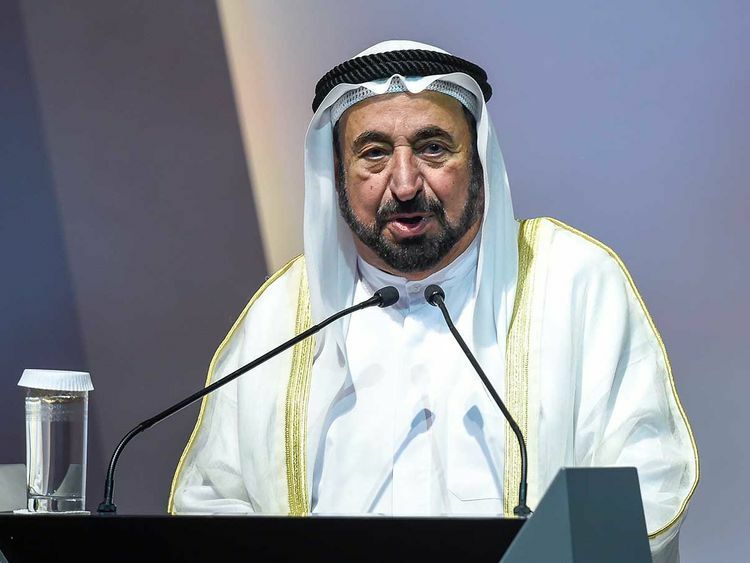 Sharjah: Digitalising government communication and services must go hand in hand with technological empowerment of society, His Highness Dr Shaikh Sultan Bin Mohammad Al Qasimi, Member of the Supreme Council and Ruler of Sharjah, stressed in his opening speech at the International Government Communication Forum (IGCF) in Sharjah’s Expo Centre on Wednesday. The eighth edition of the IGCF is taking place on March 20-21, under the theme ‘Behavioural Change Towards Human Development’. Referring to his own hand-written strategy plan on a screen about the flow of communication between the government and its people, Dr Shaikh Sultan discussed the development and delivery of infrastructure, legislative frameworks, services and the strategic initiatives to the public through government entities. “The community must learn how to utilise new technologies, and the Emirati community is young... it depends on interactive relations between its members and government employees,” he said. First, we must understand individuals and how their mind is shaped. Second, we need to inform them of the behavioural options available to them, and third, we must motivate and urge them to adopt a positive behaviour. Pointing out that most government employees are graduates of specialised universities and are able to cope with the demands of the present day, Dr Shaikh Sultan said it is not the case with some of the emirate’s senior citizens. He referred to the Sharjah Electricity and Water Authority (Sewa) as a case study of using technology to communicate with community members. “Our surgical blade went so deep in it until screams were heard. But we were never unjust, everyone was treated rightfully,” said Dr Shaikh Sultan. Since January of 2018, Sewa has been implementing digital services including e-bills and has ensured that all sectors of the community are assisted through the changes. “When we look at government entities and the systems we have in place, we must also make sure that the government employees’ skills are updated to match the requirements of this modern process — and this needs strong leadership,” he added. Shaikh Sultan Bin Ahmad Al Qasimi, Chairman of Sharjah Media Council, discussed another dimension of government communication - human behaviour. “Numerous governments around the world have begun to integrate behavioural sciences into government communication programmes to make a positive impact on society,” he said at the opening session. The growing global interest in this field has in turn encouraged Sharjah to move forward in the same direction by using internal and external expertise to better understand online and offline human interaction. “When we say behavioural change, we definitely do not mean to interfere in people’s lives or prejudge their lifestyles,” clarified Shaikh Sultan. The behavioural change linked to government communication comprises three main points. “First, we must understand individuals and how their mind is shaped. Second, we need to inform them of the behavioural options available to them, and third, we must motivate and urge them to adopt a positive behaviour that serves their interest and the interest of society,” explained Shaikh Sultan. He described the investment in successful, advanced human beings as a “noble goal” persued by all governments that prioritise their people. One example is the investment of His Highness the Ruler of Sharjah in culture, books and reading, which is also an investment in individuals’ ethics and behaviour, and a development of their intellect. “Without human beings who are motivated to develop and able to change their mindset to keep up with the times, no advanced technology can help us communicate with them and no development plan can help us improve their life and secure their future,” said Shaikh Sultan. This year’s forum is featuring prominent speakers from the US, such as legendary TV host Larry King, filmmaker Richard Williams and physician-author Dr David Katz, among 70 speakers from 15 countries. 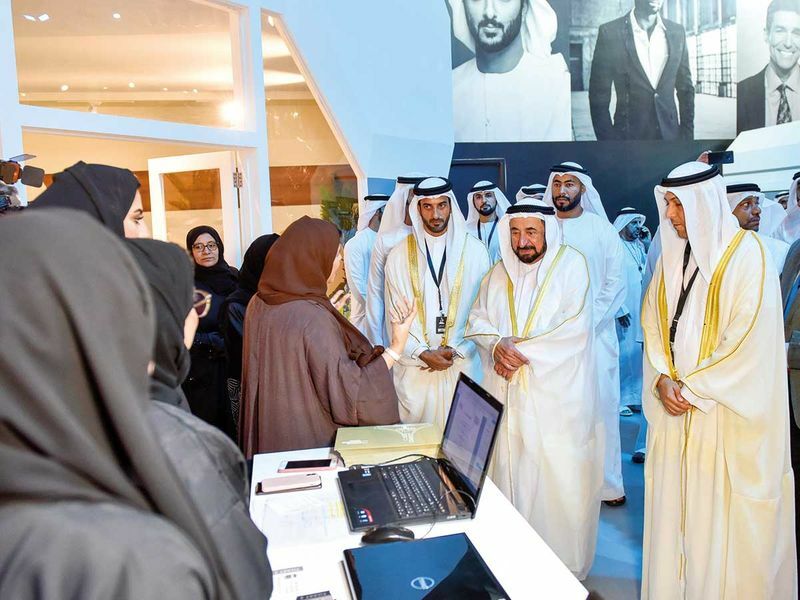 Organised by the International Government Communication Centre (IGCC), part of Sharjah Government Media Bureau (SGMB), the latest edition of IGCF is being held at the Expo Centre Sharjah.